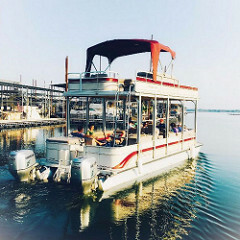 If you're looking to get the most out of your time on the lake, our Pontoon boats are an excellent choice. Save time by reserving your boat online! 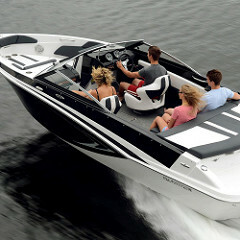 This boat is a sporty, feature rich, eye-catching beauty. She is great for sunning, casual cruising or towing a variety of water toys. Click the 'Prices' button above to see all pricing at a glance. With full features and full performance in one package, you will want to stay out on the lake all day with this WaveRunner! Click the 'Prices' button above to see all pricing at a glance. Hands-down one of our favorite rental boats! 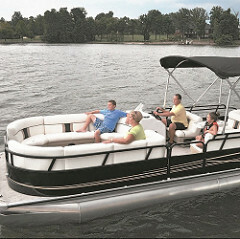 We offer the 30' Premier Tritoon with the Sky Dek. 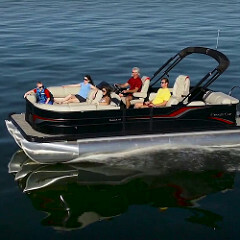 If you're looking to get the most out of your time on the lake, our Tritoon is an excellent choice. Click the 'Prices' button above to see all pricing at a glance. 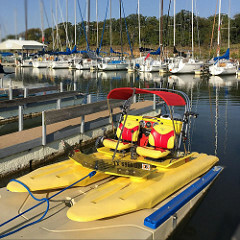 Our Craig Cats are the perfect 2-person date boat! Click the 'Prices' button above to see all pricing at a glance. 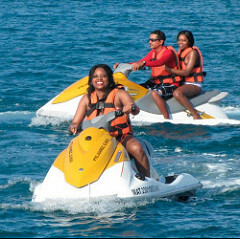 We encourage you to reserve a boat online.